You may be sacrificing speed, security, and stability if you’re running solely on a wireless network. Traditional wired internet has many advantages for small businesses. When it comes to network security and speed, it’s important to start from the ground up. Is the network for your small business wired, wireless, or a combination of both? On what equipment does the network run? What’s the difference between wired and wireless networks? While wireless networks have advantages, Anderson Technologies recommends a wired connection whenever possible. Here’s why. 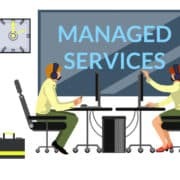 One of Anderson Technologies’ clients experienced dramatically slow speeds on its wireless network prior to signing up for managed IT services. While the business paid for a 300-megabit connection, its laptops only accessed 1 to 12-megabit speeds! 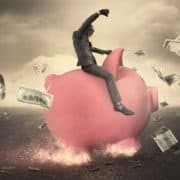 Its internet service provider was more than happy to increase bandwidth on the wireless router, but this added expense didn’t improve the usability of the network. The Anderson Technologies team analyzed the office’s wireless network and discovered it broadcasted on a frequency with considerable interference from competing devices in neighboring offices. They upgraded the router and firewall hardware, which enabled the network to broadcast on unused, clear bandwidth. As a result, the client’s speed is now far closer to the 300-megabit connection it pays for. Wireless networks are constantly competing against natural phenomena like lightning, other wireless networks in the area, and radio interference. All of which affect speed and performance. One of the biggest disadvantages of wireless networks is that they lose speed when the number of competing devices increases. With the expanding utilization of the Internet of Things, this problem will only continue to grow. The Internet of Things (IoT) offers convenient features for security systems, lighting, and even appliances. However, these gadgets depend heavily on your wireless network. Have you ever noticed a loss in network speed around internet-connected devices? This is a common problem. Small businesses are increasing their reliance on IoT for the accessibility they provide, but the investment may be hurting their wireless network speeds. Ultimately, wired networks are significantly faster than wireless ones. While Anderson Technologies’ client was happy to approach the 300-megabit speed for its wireless network, hardline wires can run at gigabit speeds. No matter what the provider-rated speed of a wireless connection is, real-world speed is always slower due to overhead, competing devices, interference, and network traffic. The advantage of a wired network is that it guarantees a faster speed from the beginning, and unlike a wireless network, it won’t lose speed when exposed to interference. Compared to a wireless connection, a wired line isn’t affected by nature, equipment, and competing devices. Once installed, a wired network rarely breaks. This stability is vital to small businesses. 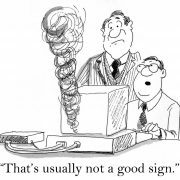 Another Anderson Technologies client previously experienced poor performance on its wireless network. In the middle of important tasks, the network would drop and then slowly come back online, requiring multiple restarts a day—losing valuable time and energy. When Anderson Technologies performed a preliminary audit of the environment, the team immediately discovered the problem: poor equipment. The client was running the entire network on barely home-grade wireless access points (WAPs). On top of that, the WAPs were not situated optimally to provide wireless for the entire office. 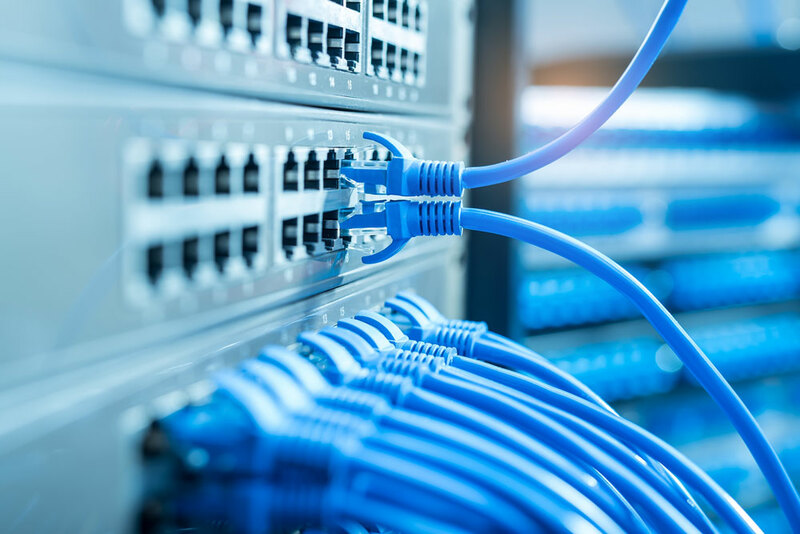 Enterprise-level equipment is important for every small business network but especially for wireless connections. This technology is already running at a disadvantage, and subpar hardware won’t provide the wireless network a business needs. If your business runs mostly on portable systems like laptops and other mobile devices a capable wired network is still possible. Investing in a dock for laptops is a great solution. They aren’t costly, and when a laptop is docked, it can access the advantages of a wired network. Wired networks also outperform wireless when it comes to security. As seen in the recent KRACK threat, wireless security isn’t as robust as we once believed. With a wireless connection, web traffic travels via radio waves, and even encrypted traffic can be captured with proximity and the right malicious tools. It is more difficult for a criminal to access a hard-wired network. Out of 600 small and medium-sized businesses surveyed for the 2016 State of SMB Cybersecurity Report, half had been breached in the past 12 months. While bigger targets make the news, this trend means the chances of your network coming under fire are high. Small businesses dealing in confidential internal and client data can’t afford to be hacked. With threats to small businesses on the rise, many still don’t consider themselves vulnerable. Half of the small businesses surveyed at a recent conference said their wireless networks were not partitioned from visitor access. That means clients waiting in the foyer—or cyber criminals—were accessing the same network that housed confidential client data. Data sent on public wireless networks is simply not as safe as when a wired network is used. Identify busy wireless frequencies, and broadcast your network away from that traffic. This can help your network obtain the speed you pay for. Keep public and private access to your network partitioned. Visitors and users off the street don’t need to access private data vital to your business. Partitioning your network provides the customer service of a wireless network while keeping your business safe. Consider using a wired connection for stationary desktops and install docking stations for laptops. This allows fast, secure, and stable access to the wired network, while keeping a wireless connection available for mobile work. 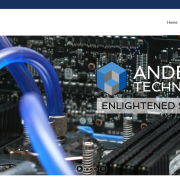 Anderson Technologies is a St. Louis IT consulting firm. Let us help you weigh the options of wired vs wireless networks for your small business. To see if you qualify for a free network audit, email info@andersontech.com or call 314.394.3001 today. Managed Services, Specialty Projects, and Client Testimonials: Our New Website is Live! 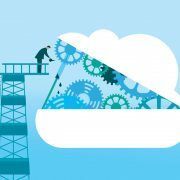 Is Your Cloud Provider Working for You?